Creswell's email has publicly circulated through the Ventura Unified staff to whom he sent the message. 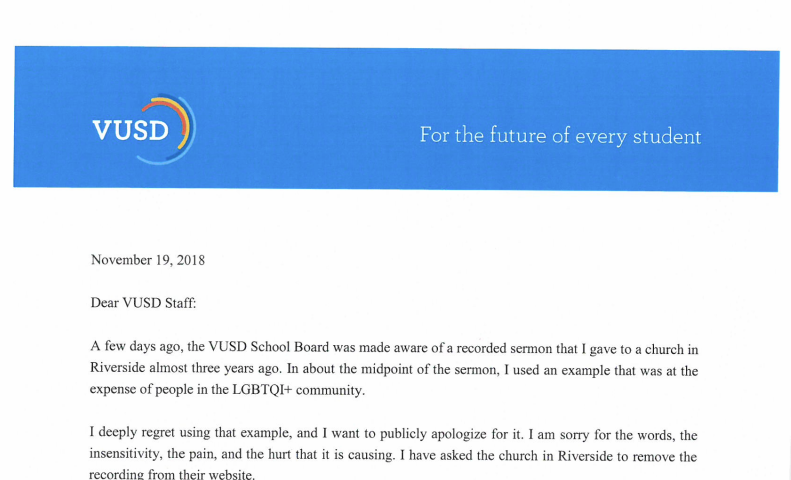 On Nov. 19 at 5:20 p.m, Superintendent David Creswell sent an email to the Ventura Unified School District (Ventura Unified) staff after coming into question at a special board meeting on Nov. 16 for statements he made regarding the LGBTQ+ community. The recording was taken on Feb. 21, 2016 and published on the SoundCloud of the Redeemer Baptist Church in Riverside, Calif.
Creswell additionally stated that he requested the Redeemer Baptist Church to remove the SoundCloud from their account. The SoundCloud from the Redeemer Baptist Church was removed sometime between the publication of Foothill Dragon Press’s coverage of the special meeting on Nov. 17 at 3:22 p.m. and 12:15 p.m. on Nov. 18 when the Dragon Press had next checked. 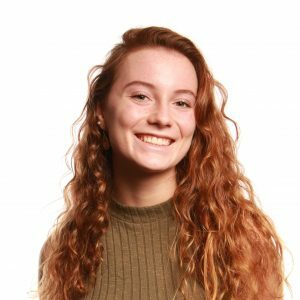 The Dragon Press recorded the SoundCloud from the church on Nov. 16 for record of Creswell’s words and tone incase the recording was to be taken down. 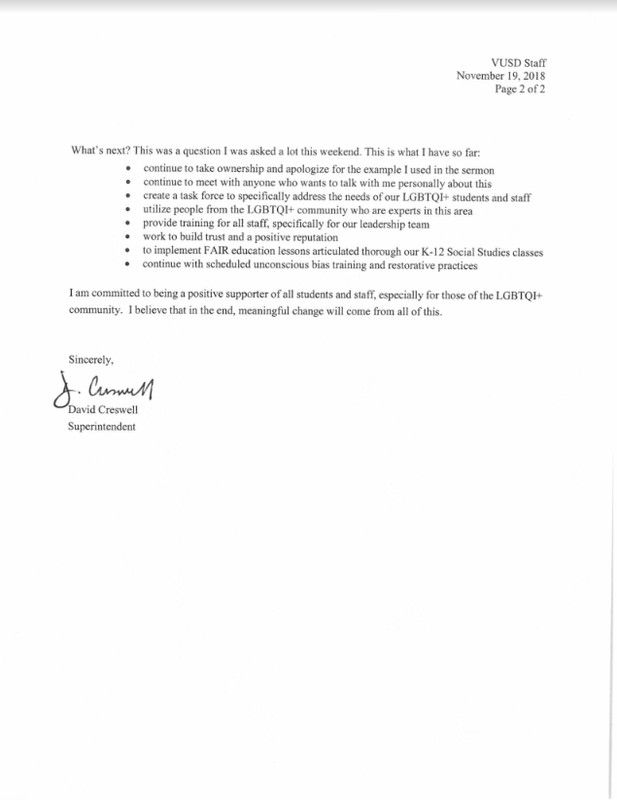 The offense that some people took from Creswell’s statement were brought to the public’s attention days after administrative decisions at Foothill to move Pride Week from the hands of Associated Student Body to Queer-Straight Alliance stirred contention; these concerns were brought to the Board of Education’s attention at the school board meeting on Tuesday, Nov. 13. 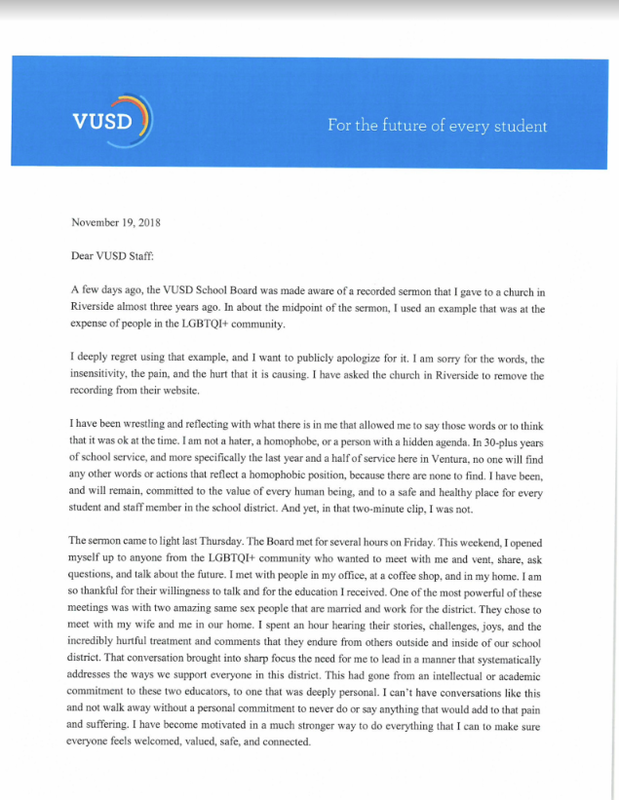 Creswell’s email has publicly circulated through the Ventura Unified staff that he sent the message to.